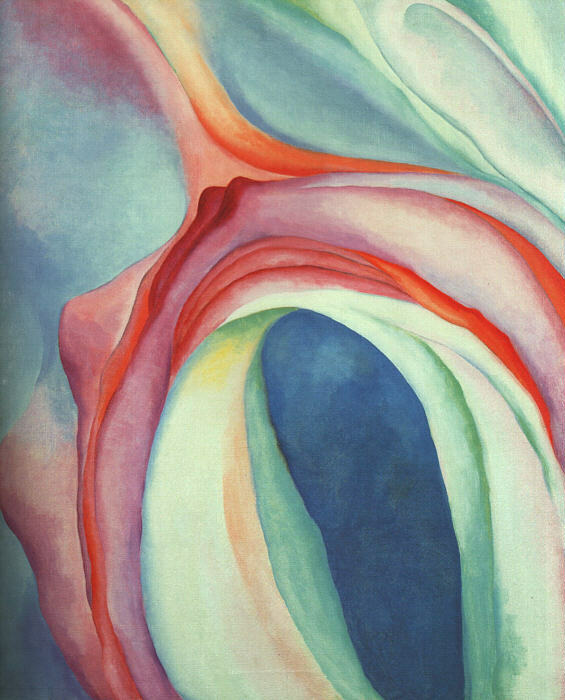 One of the first painters to really draw me into their work was Georgia O’Keefe. Her colors were vibrant and crisp. Her use of organic forms and the beauty of the curves and arcs she employed was impeccable. 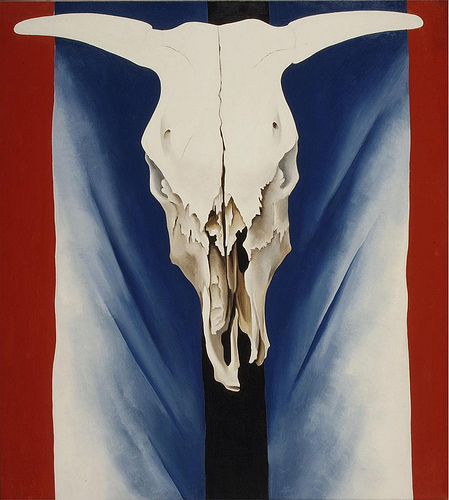 Her compositions were unique and out of the box, often bisecting the picture frame in an unorthodox manner. There was also the sense of stillness and spirit that I now hope for in my own work. Again, there is a timelessness in the work that goes beyond the moment when she created the piece. 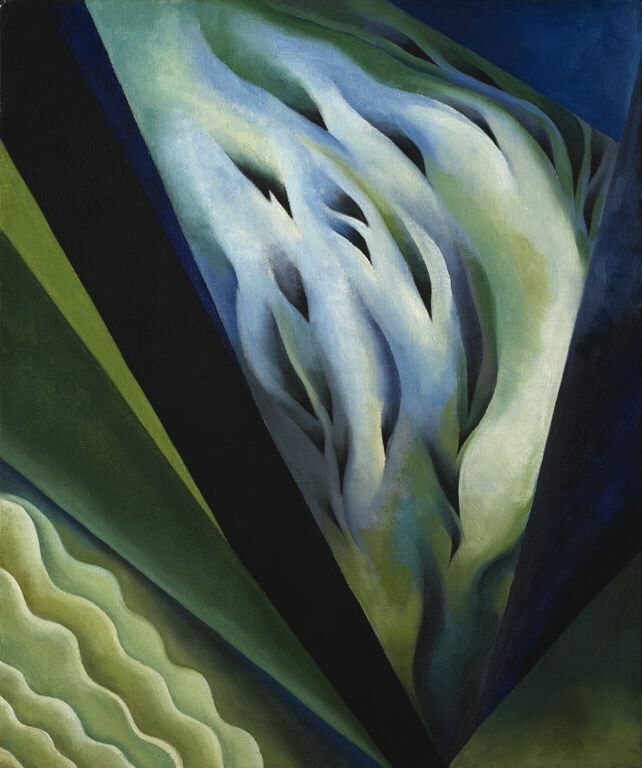 I was also drawn to the different styles of her work- her modernist cityscapes, her abstract paintings of flowing color and form and her floral. Her hand was always obvious in the work. Every piece in every style has a sense of being in the present. There are so many elements in her work that I have absorbed over the years and incorporated in my own work that I could never fully express the appreciation and gratitude I have for her career. 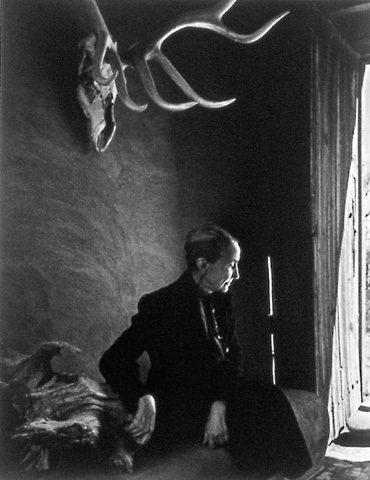 As much as I have always been drawn to her work and affected by it, there is one drawback that I first discovered a number of years ago. I had discovered her work in books and prints, never seeing them in person. When I first saw a show of her work, while being stunned to see the imagery up close, I was less than excited by the surfaces of her paintings. There was a great deal of flatness and they lacked the visual oomph of the printed page. The surfaces had no excitement of their own. I realize this is my own subjective feeling on the work and that many great paintings have this same lack of surface excitement. For example, I feel the same way about the work of Joan Miro even though I am knocked out and excited by his work. This feeling of mine does not in amy way take away from the greatness of the work. I just realized that while I wanted to create the same type of graphic excitement of these artists, I also wanted to create something that had a tactile, textural effect when seen up close and in person. To that end, I think my work always shows better in person than in print or on a computer screen. But that doesn’t really matter today. 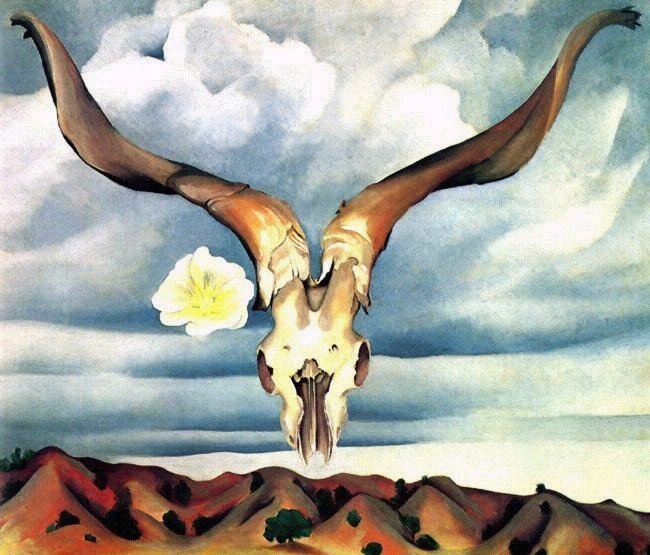 I just want to show the icons and forms of Georgia O’Keefe and hopefully it will spark something in someone else and they will create their own forms, their own vocabulary of imagery.